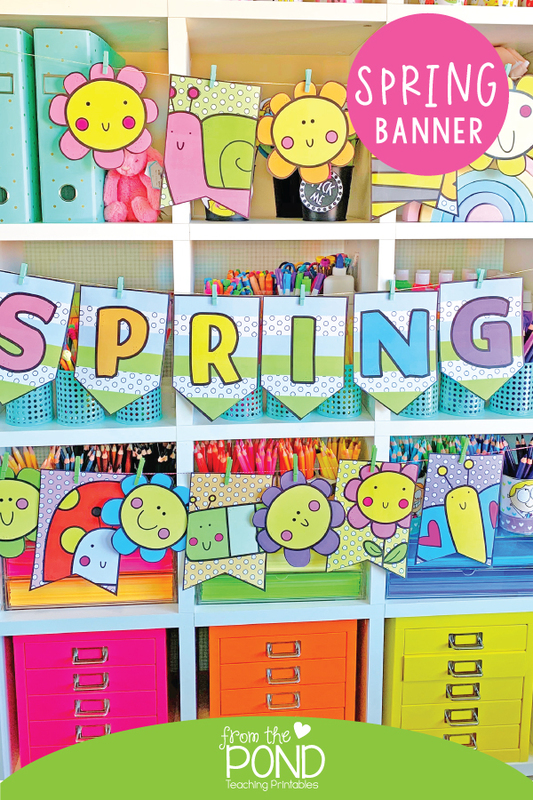 Make your classroom or learning space happy, bright and fun with a pretty spring garden banner writing project! 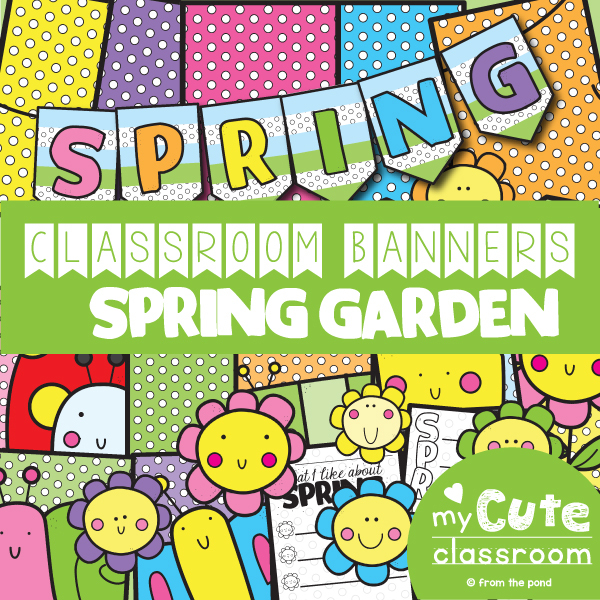 Our packet will help you make a bright and fun spring garden themed classroom banner. 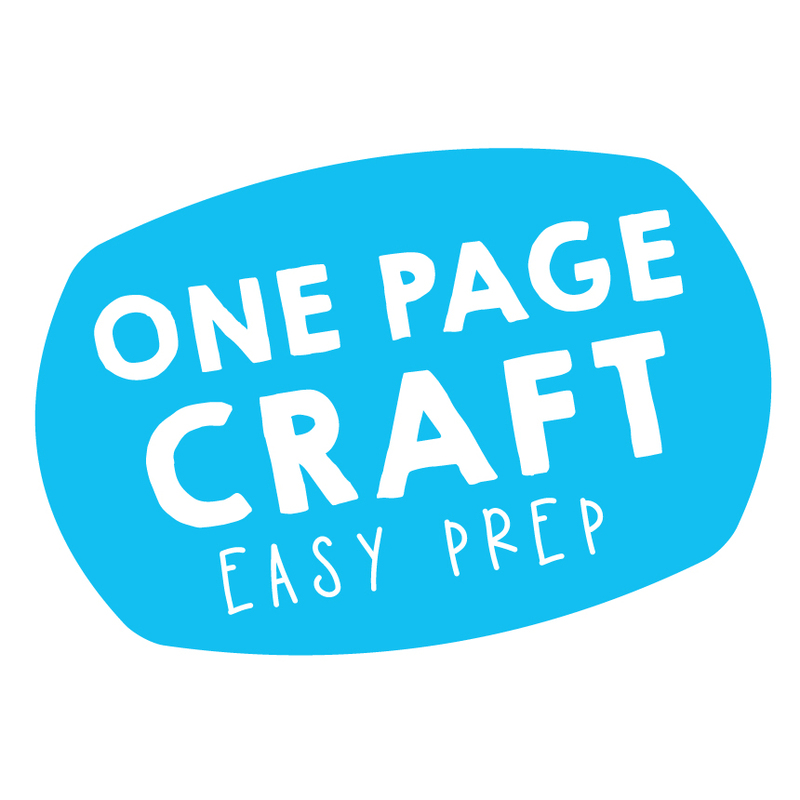 Simply choose the banner pennants you would like to include on your unique arrangement, print, cut and clip to a line or string! 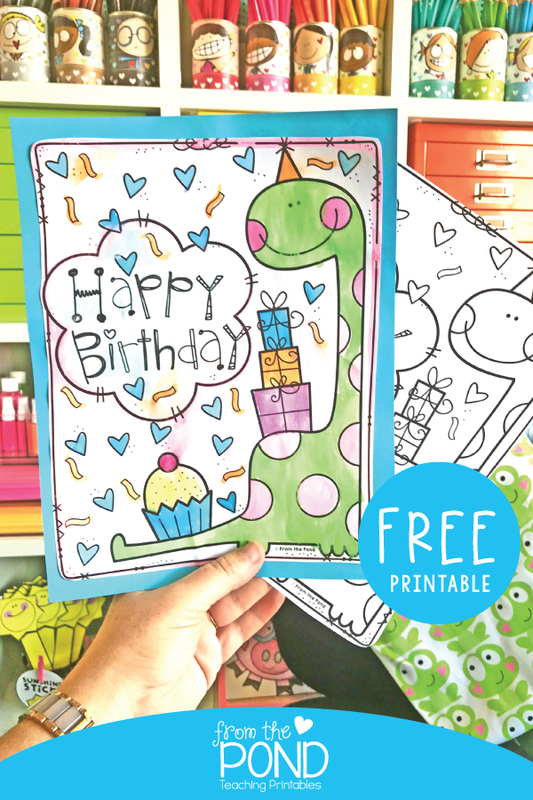 Use them all, or print multiples of just a few to create your design! 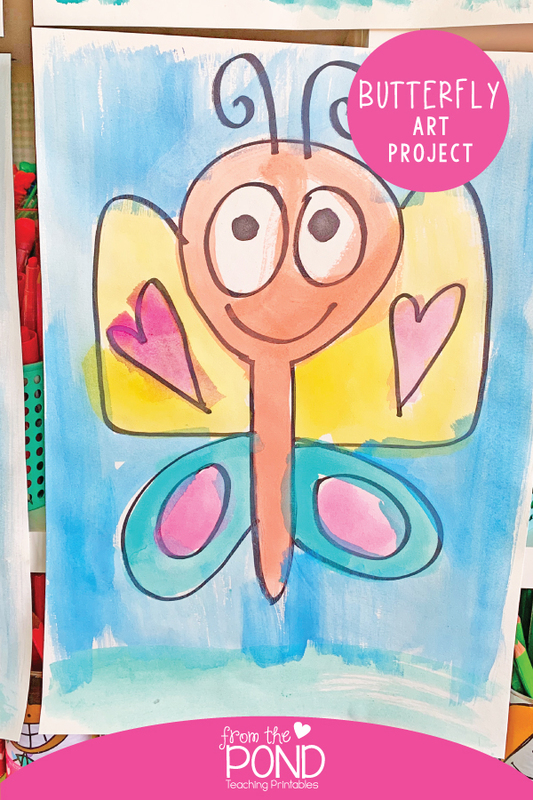 The various designs also come in a 'backline' version - ask your students to shade or paint these before creating your display. 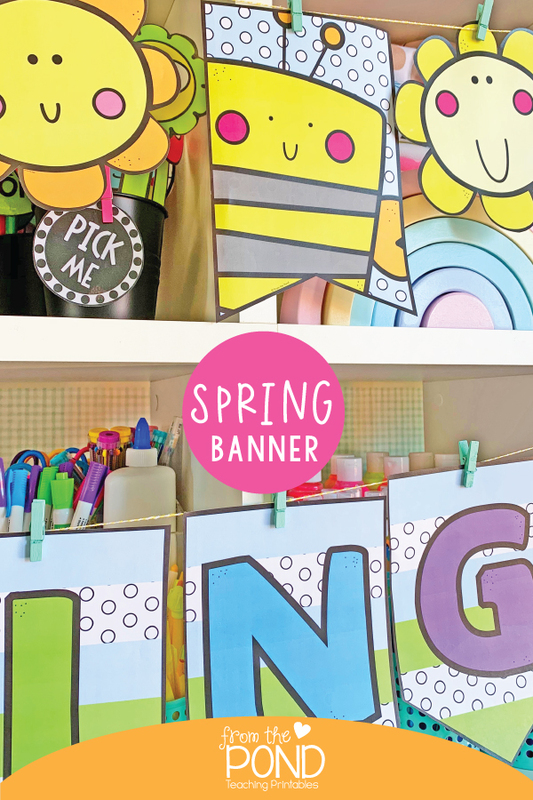 I have included a writing banner for students to draw or write on. 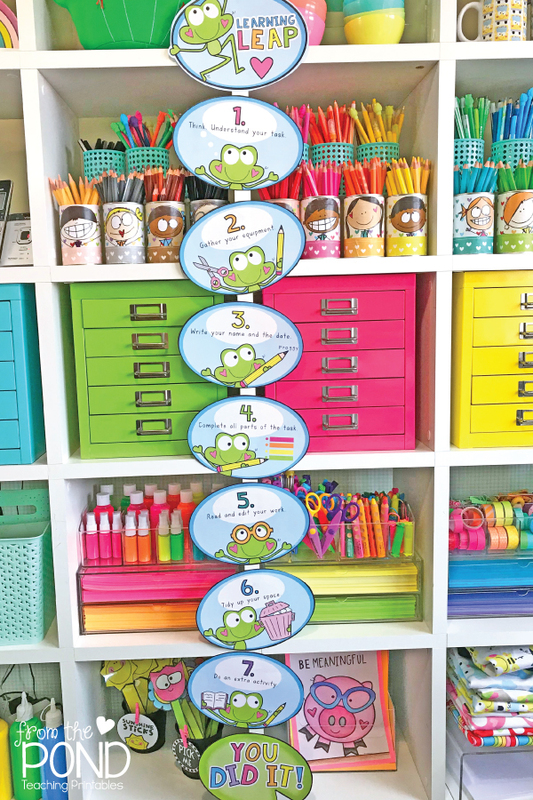 When completed, you can add them to your display and incorporate the students work into your decoration! 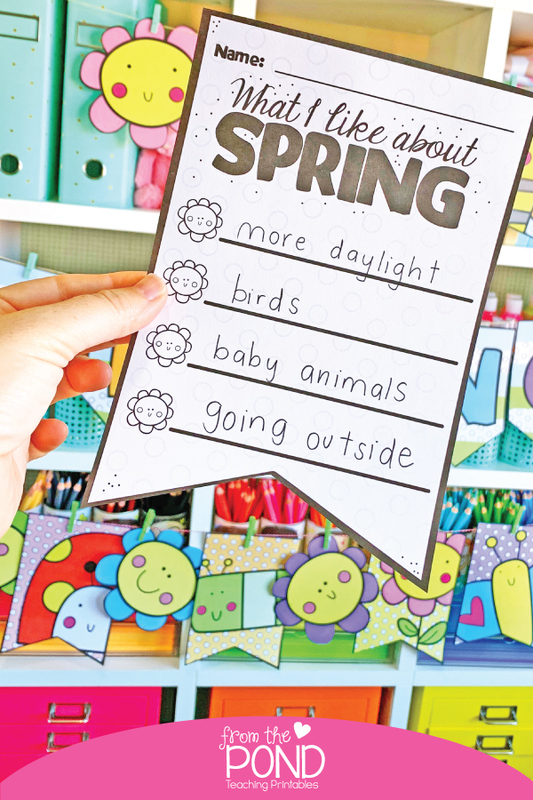 They will record what they like about spring or a spring acrostic poem! 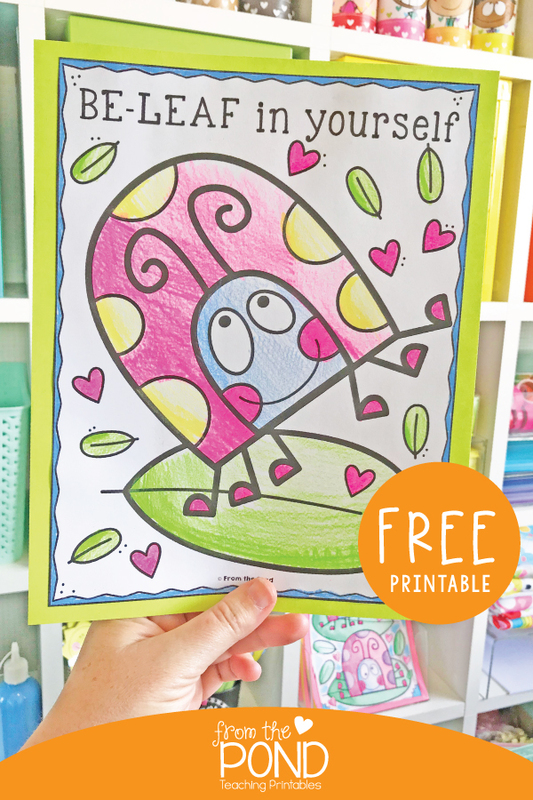 Hop over to our TpT store to find this printable pack ready to go! 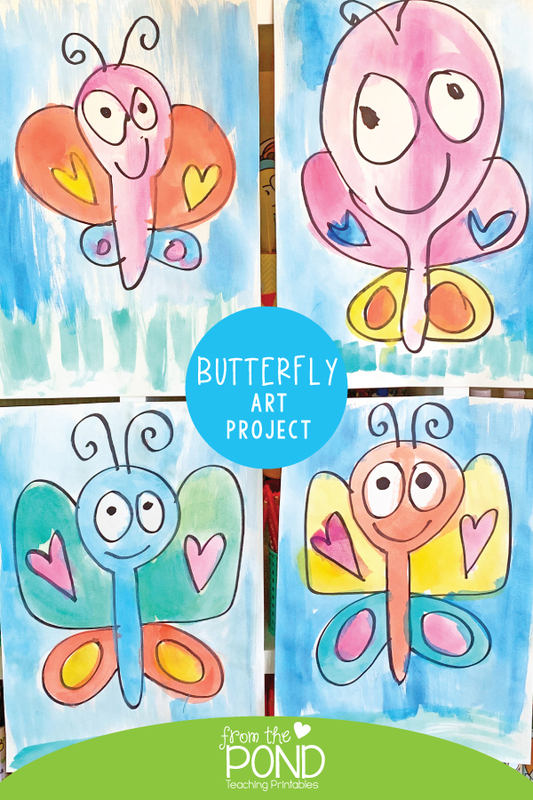 We did a butterfly art project on the weekend and I would love to share the steps with you. 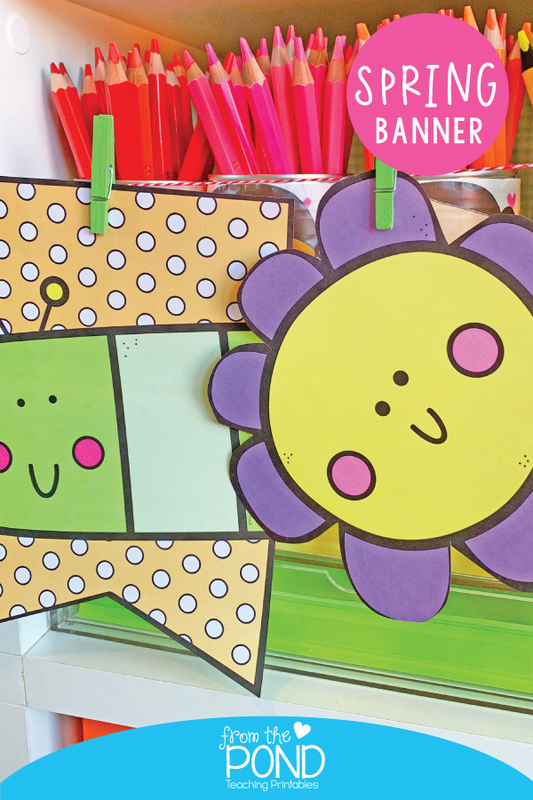 Perfect for spring, these bright happy butterflies will be a delightful happy presence in your learning space. 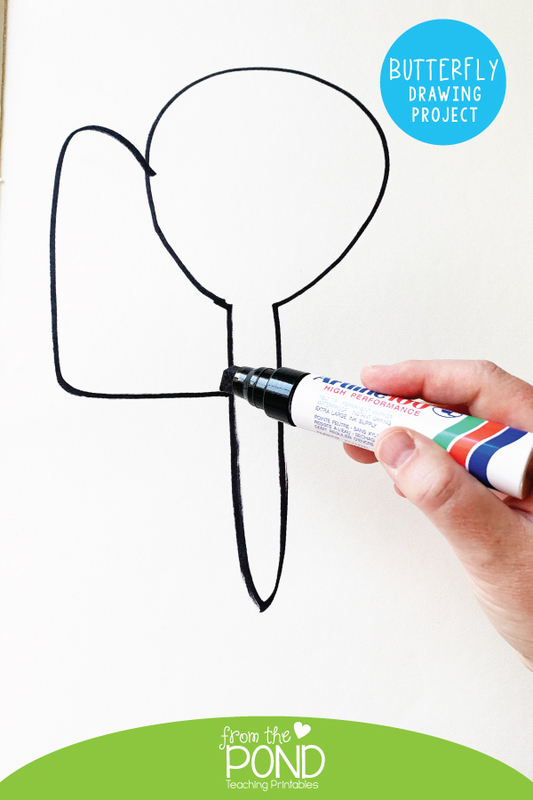 First draw a round head and a long thin body. 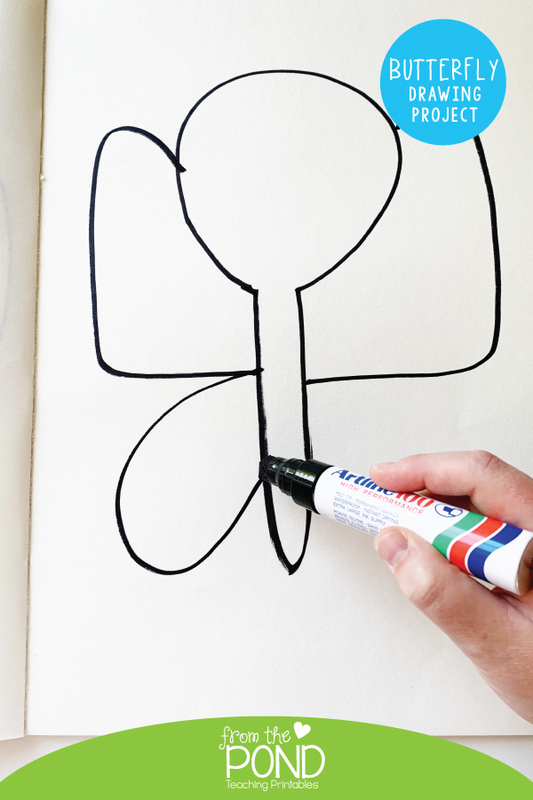 For the first half of the wing, jump out to the left, down and across to the body. For the bottom half of the wing, loop around. 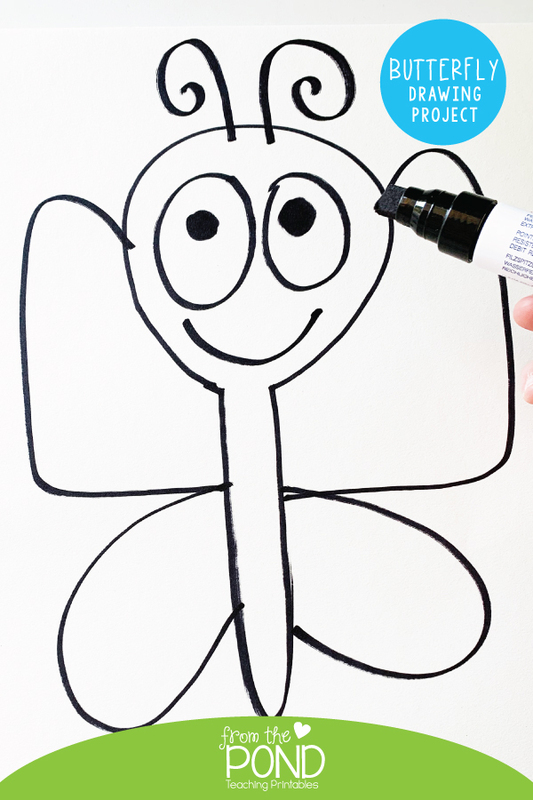 Draw a happy smile and curly antennae. 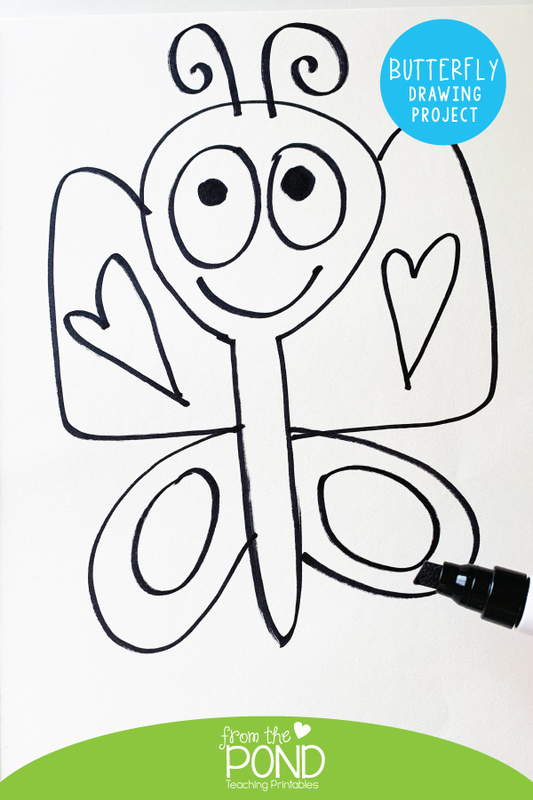 Decorate the wings with hearts and circles - or some patterns of your own. 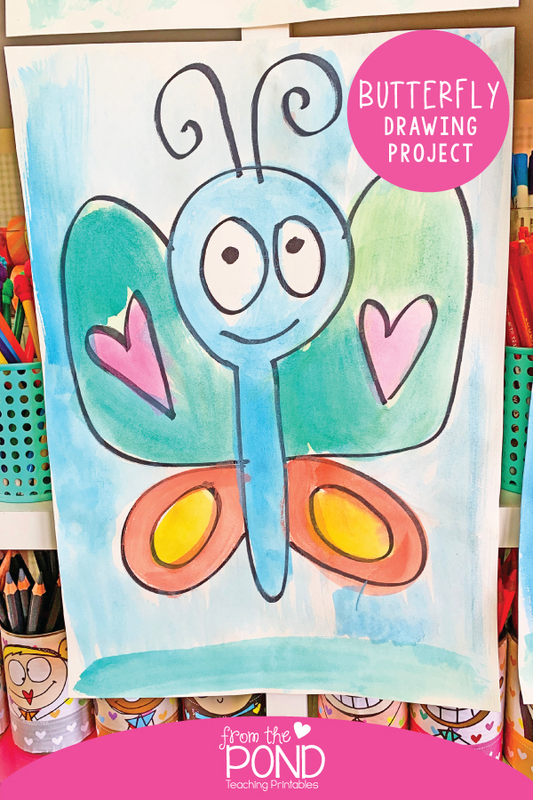 Now paint, color or crayon your butterflies in some beautiful happy colors. 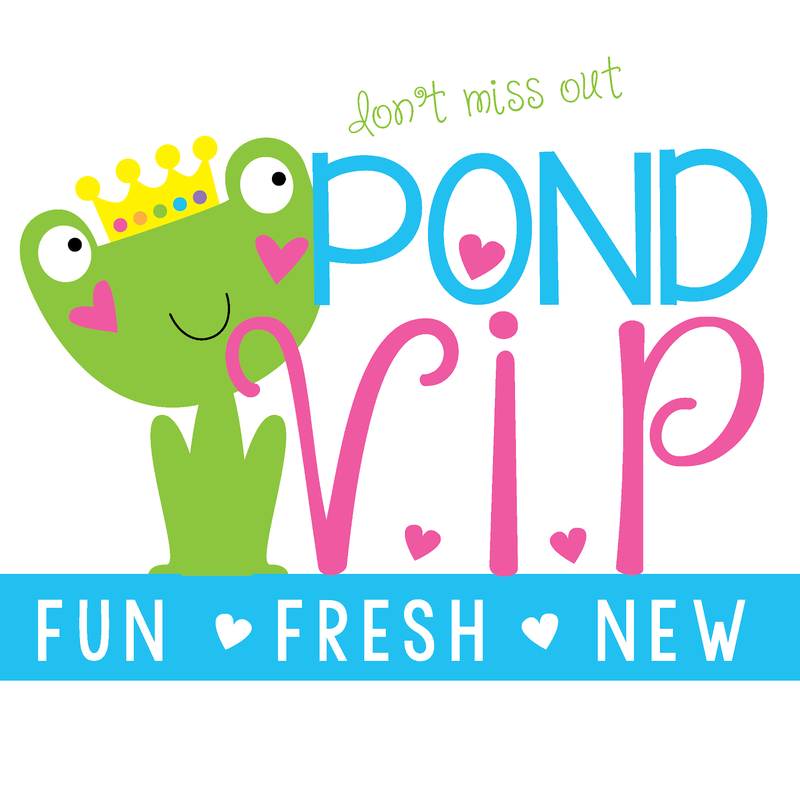 If you are a Pond VIP, we've added some printable pages for this project in the 'exclusive' section of our library. 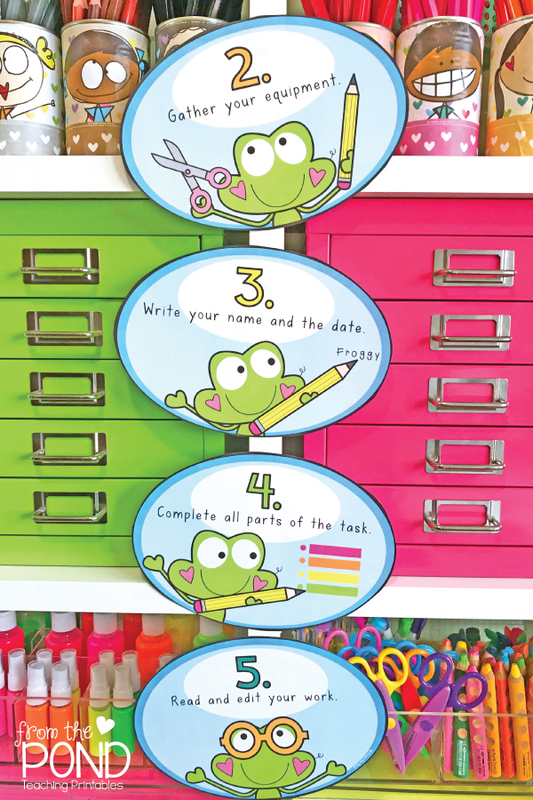 Included is the printable steps and writing papers. 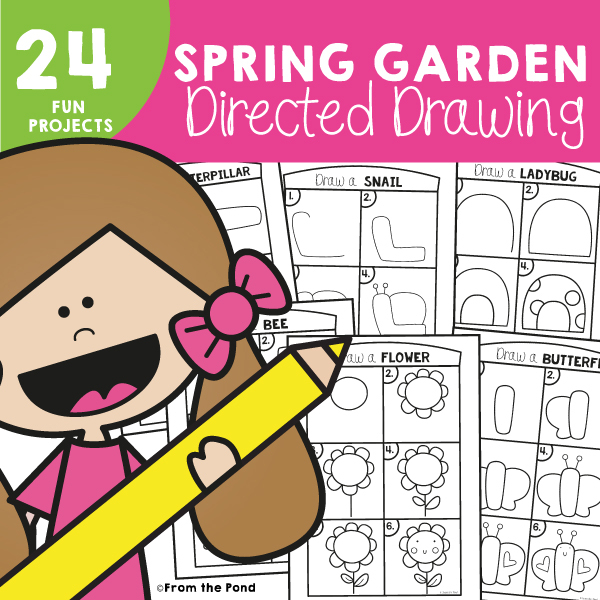 We also have a butterfly in our Spring Garden Directed Drawing packet over at TpT. 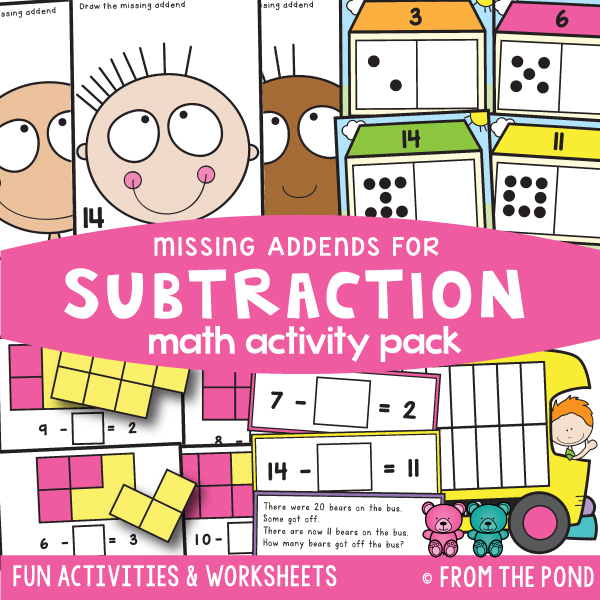 We've just created a pack of 5 activities to help you explore the 'missing addend' aspect of subtraction. 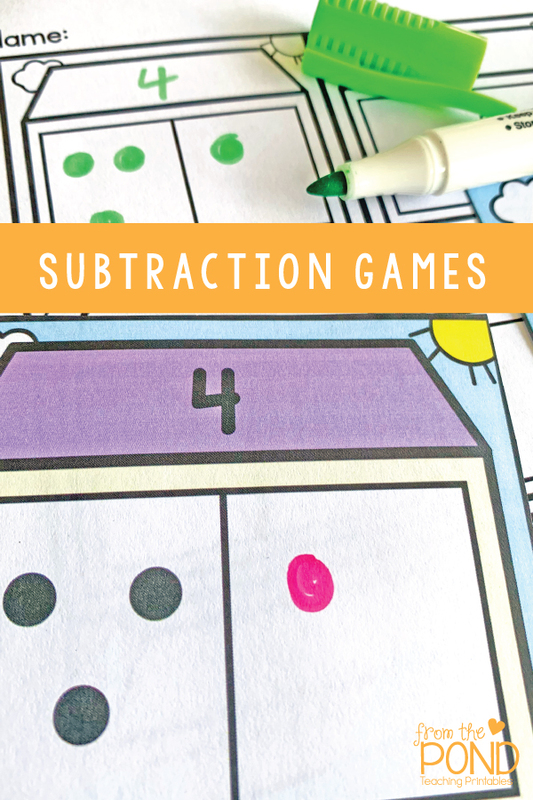 It will help build an awareness of the connection between addition and subtraction. 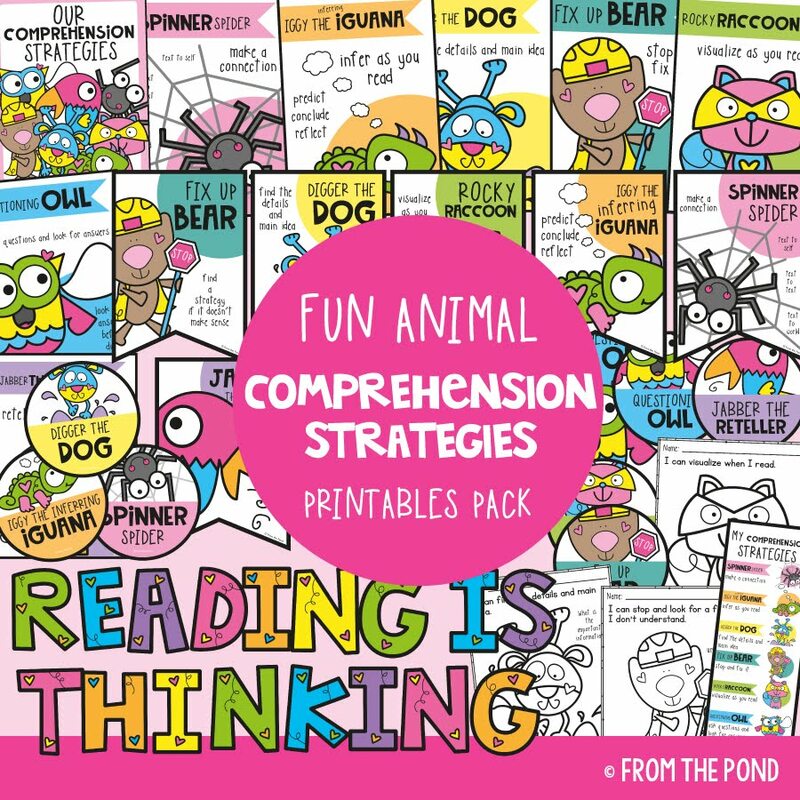 This growing awareness provides a platform for an array of powerful strategies to utilize in later years when our little learners encounter harder mental math. 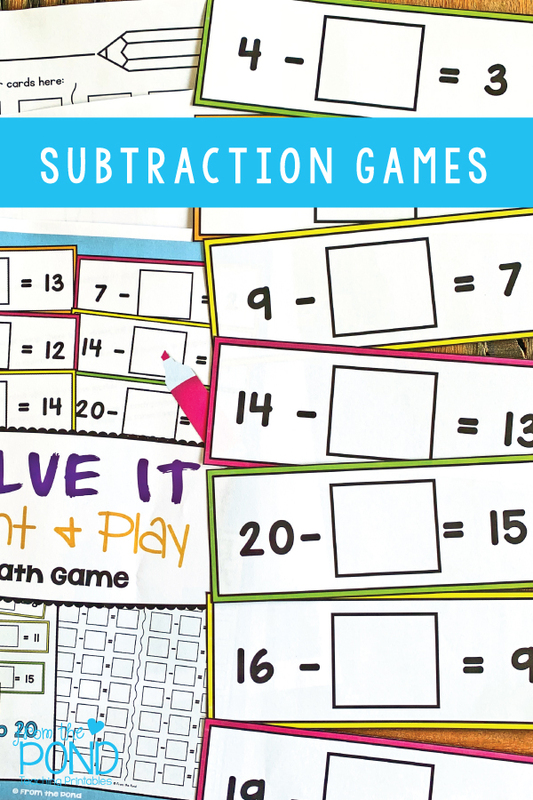 This is Pack 34 in our series of sequenced math activity packs, Math Pack 30 reviewed 'take away' subtraction. 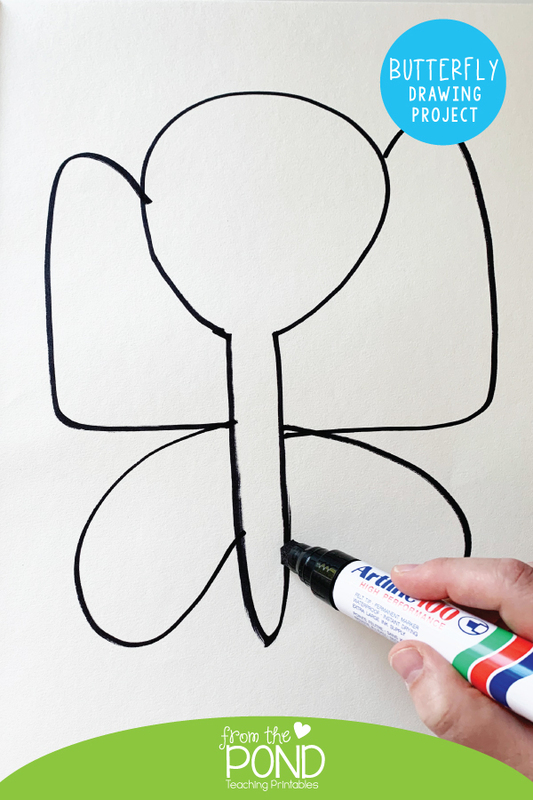 Students will draw more hair on each kid to show the missing addend. 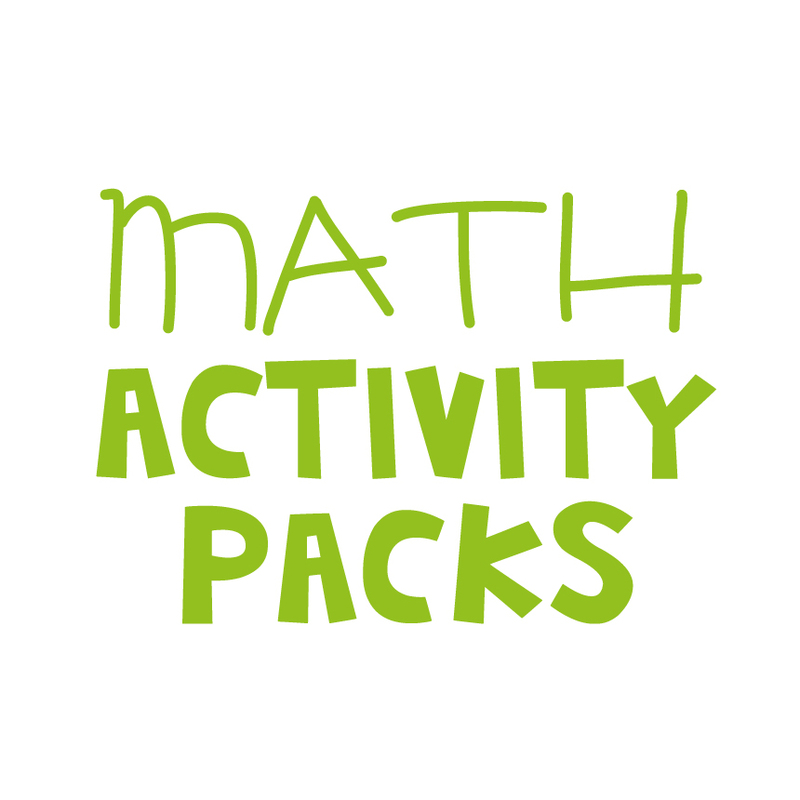 They look at the total needed, count the known quantity and work out the missing addend. 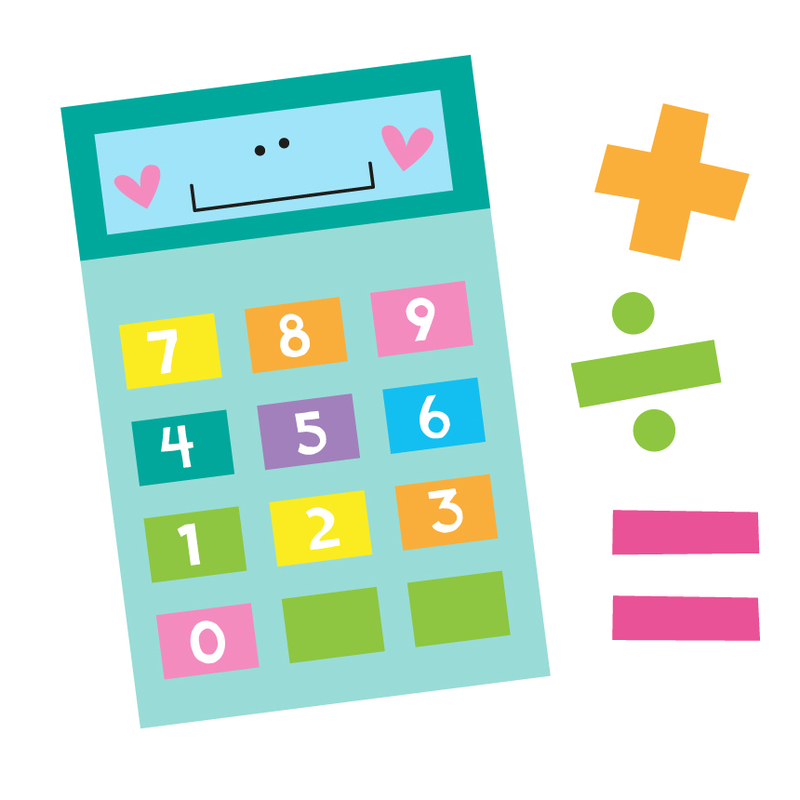 Talk to your little ones about what is known, unknown and the total. 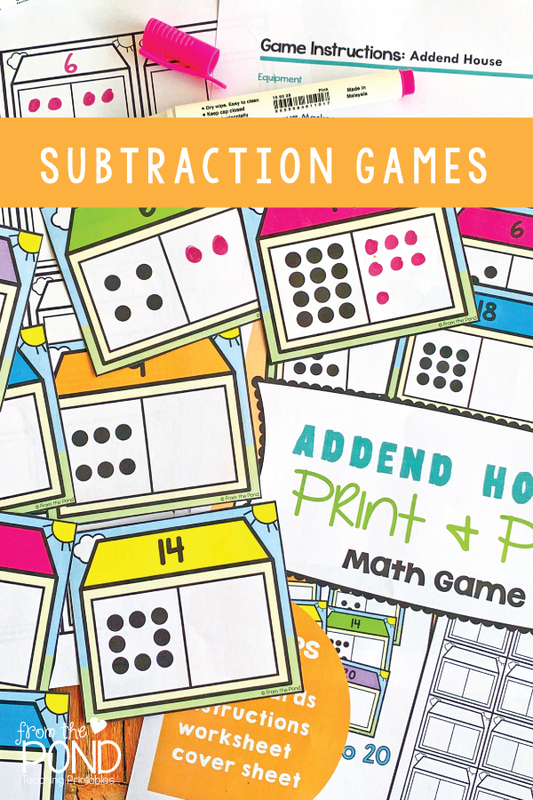 In this activity, students will again identify the missing addend by looking at a known quantity and total and draw the missing number in the house. Talk about the part-part-whole relationship. 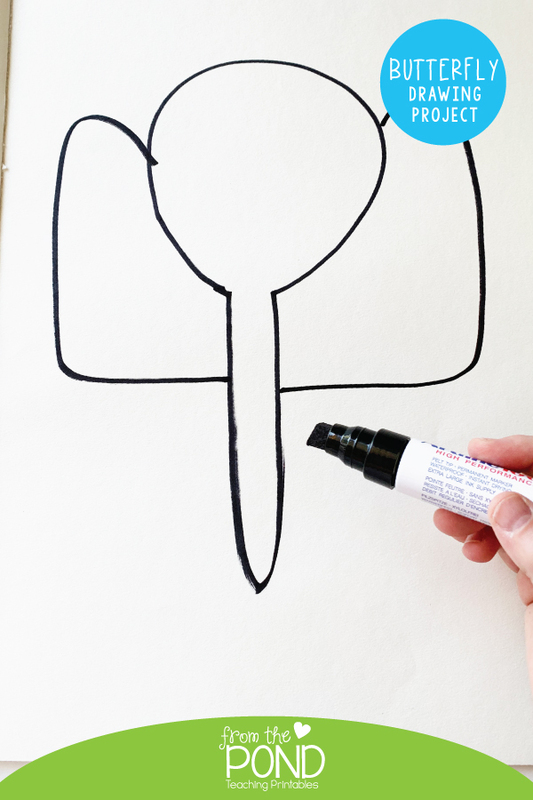 This activity is great for tactile learners as they will be able to 'feel' and 'handle' the number and its shape and missing part will help them understand, kinaesthetically, the missing addend concept. 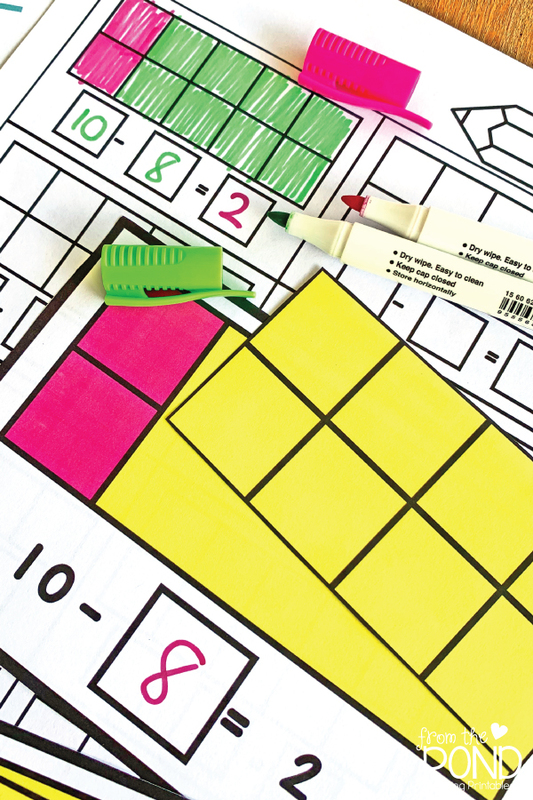 Students will identify the missing addend by comparing a known quantity and total by lining up two shapes and identifying the missing section. 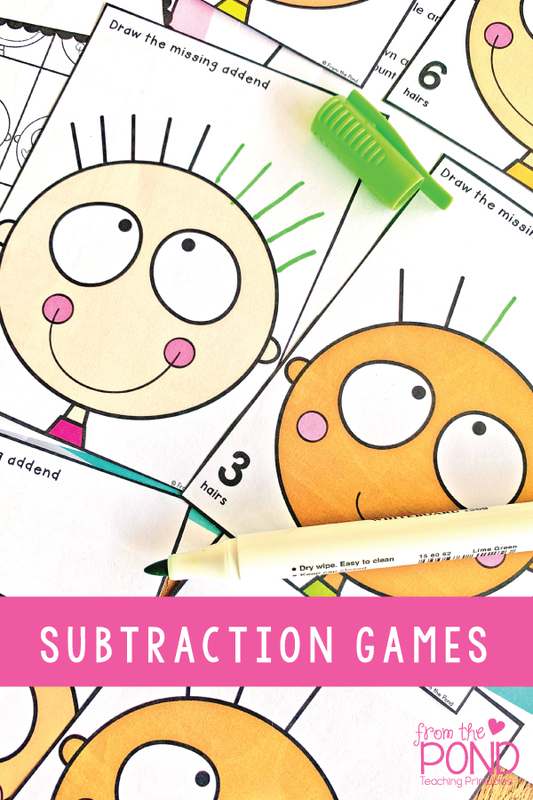 Students will draw on the visual nature of the previous strategies to identify the missing subtrahends in the subtraction problems in this algorithm based activity.. 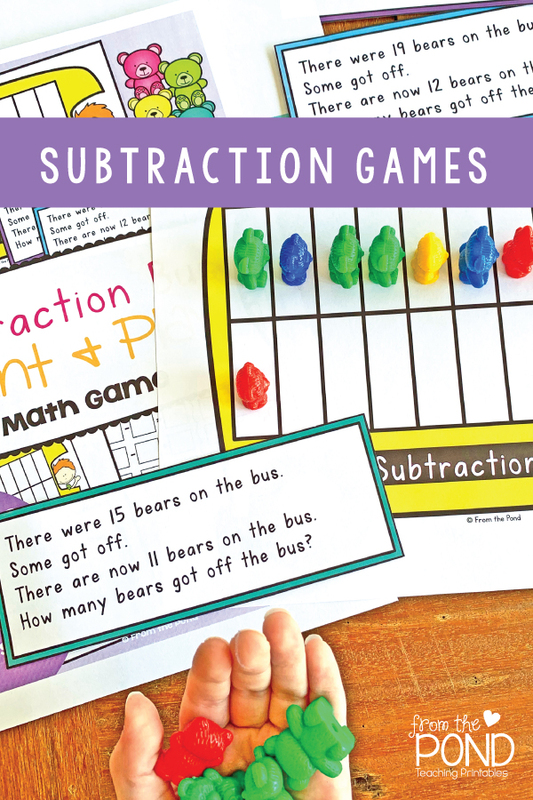 Your learners can begin to apply their skills to word problems using math bears and problem cards in this activity. 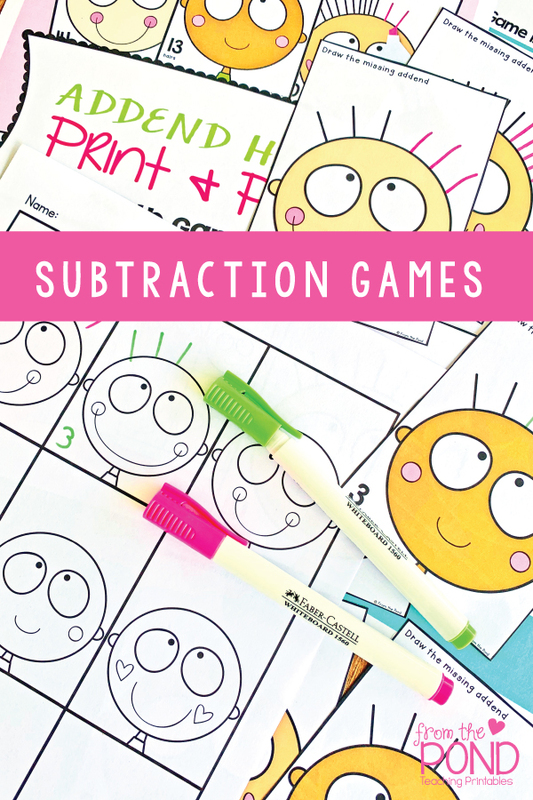 These activities can be used in a structured game rotation program, as math centers or in guided math. 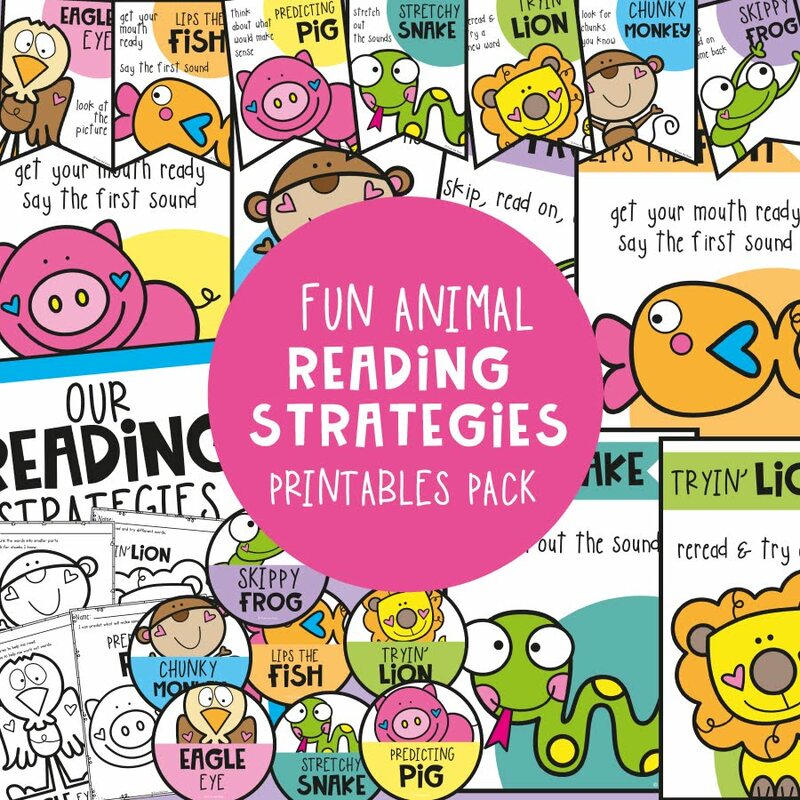 Once taught, they also make fantastic 'fast-finisher' activities for revision of key concepts. 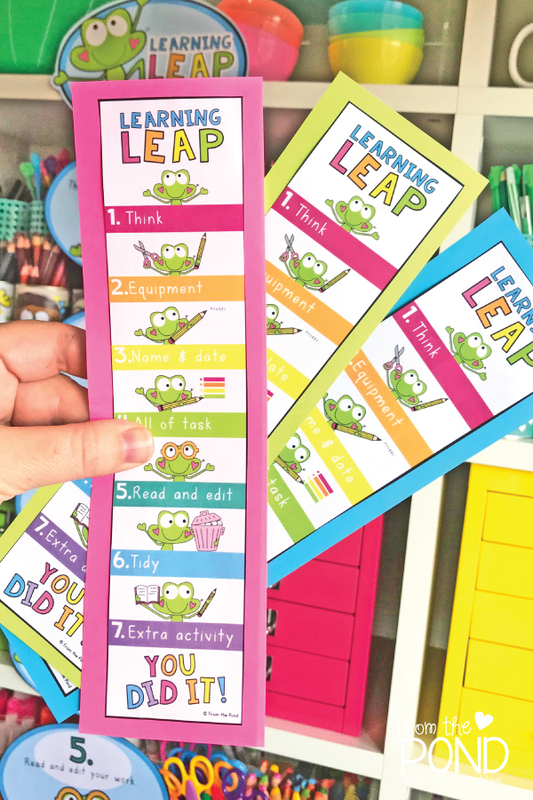 Hop over to our TpT store if you'd like these fun and engaging activities for your learning program! 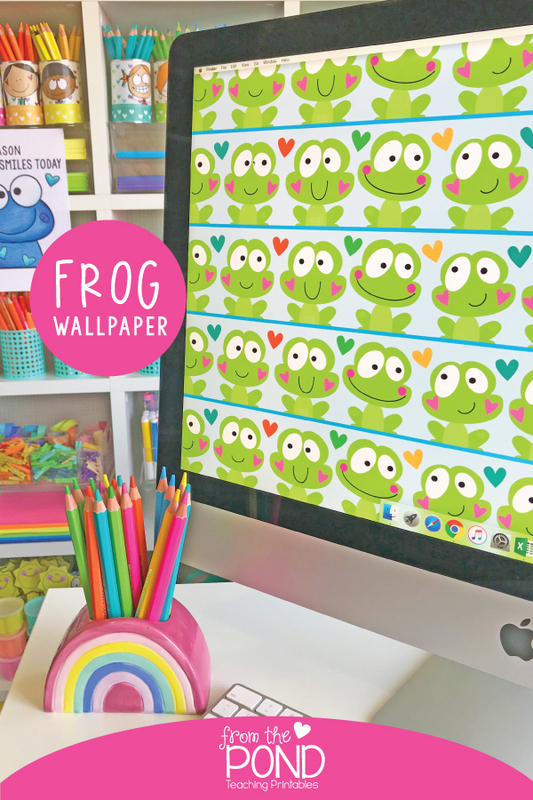 I'd love to share a fun new screen wallpaper with you today, to brighten up your home and classroom electronic boards, iPads, computers and phones. 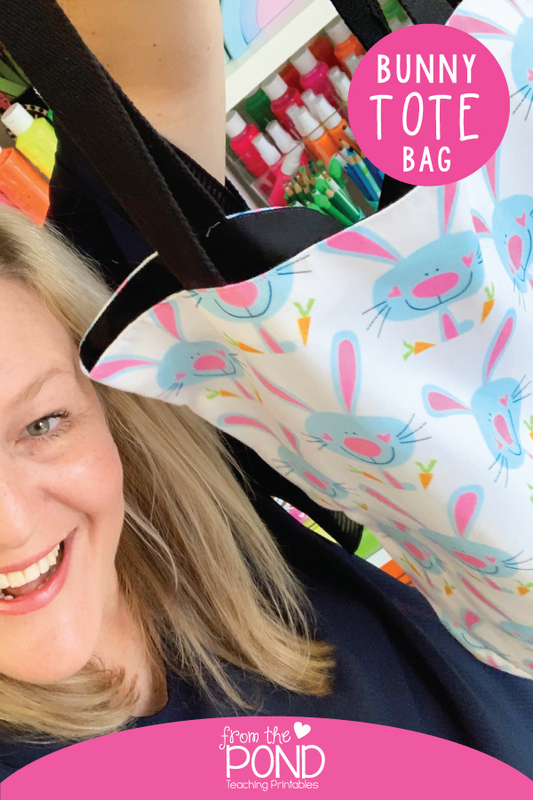 This one is a big bright bunny design - well and truly in time for upcoming Easter and northern hemisphere spring. I do hope you love them as much as me and they bring some joy to your week. Simply download the images from google drive from the links below. 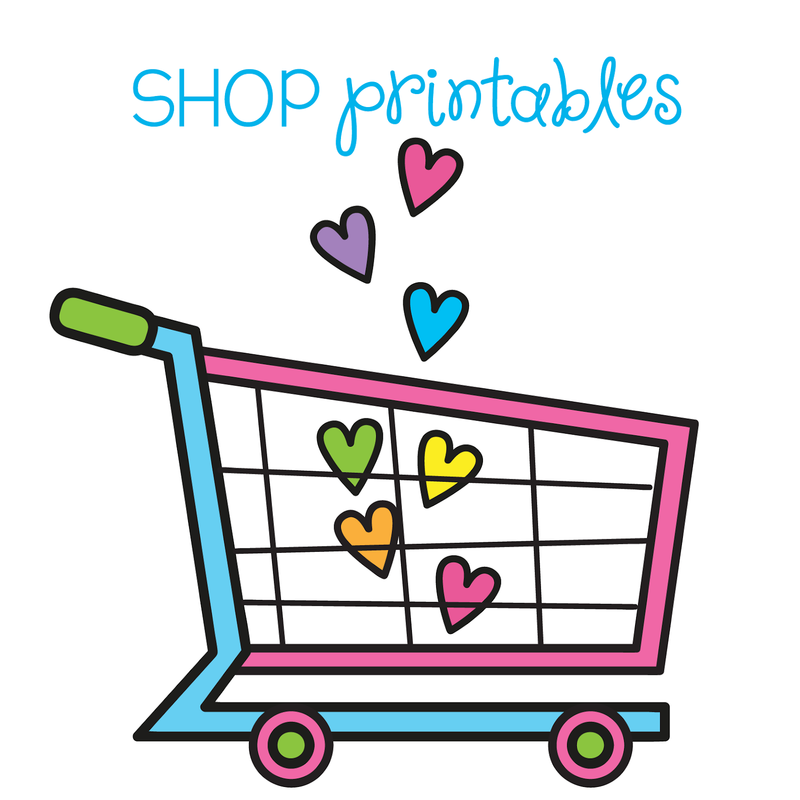 Store them on your camera roll and choose them for your screen saver and/or wallpaper! 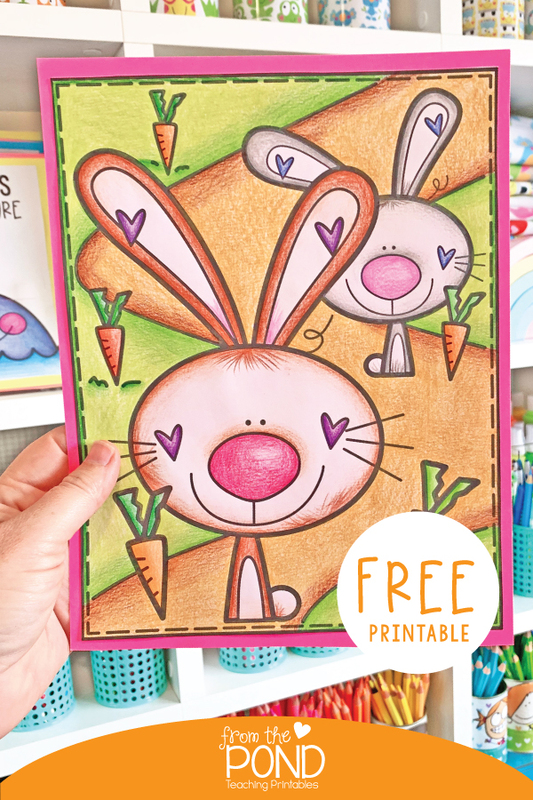 We've also added a bunny coloring page to the club so your little ones can get in on all the bunny fun. 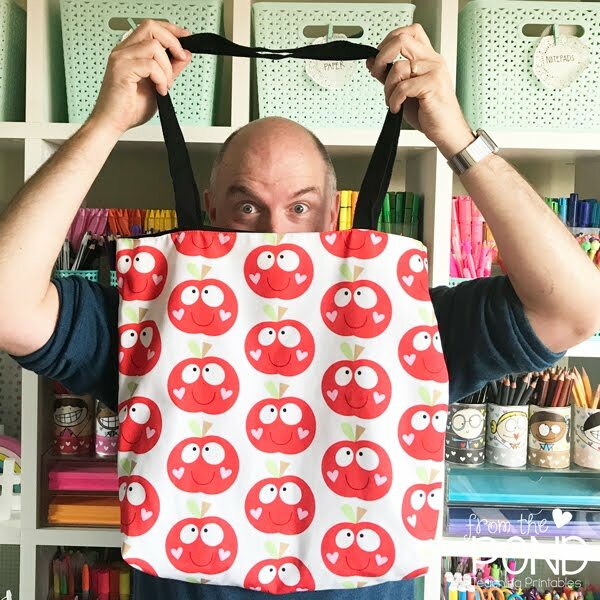 If you're looking for more bunny themed goodies (think tote bags, mugs, phone cases, notebooks and even dresses and T shirts) hop over to our Red Bubble store to see our bunny friend on a range of lovely cute items! 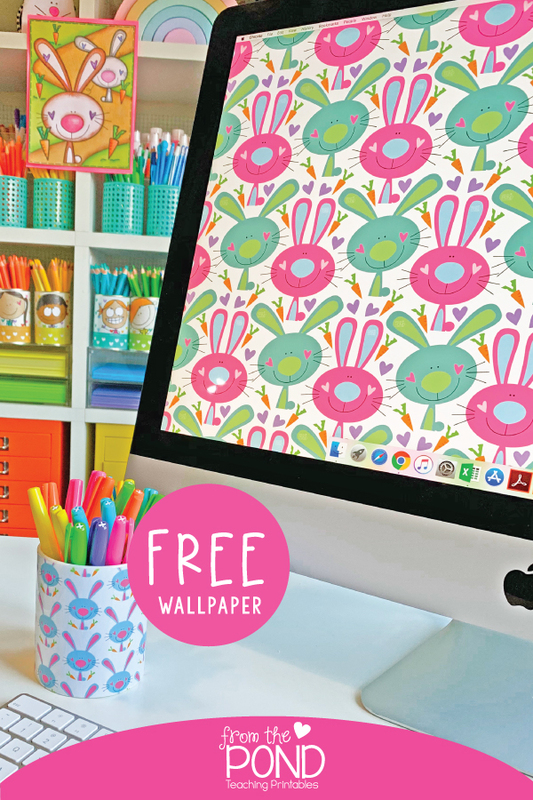 We've also added our bunny wallpaper design, in print quality to the 'Banner and Paper' pack. 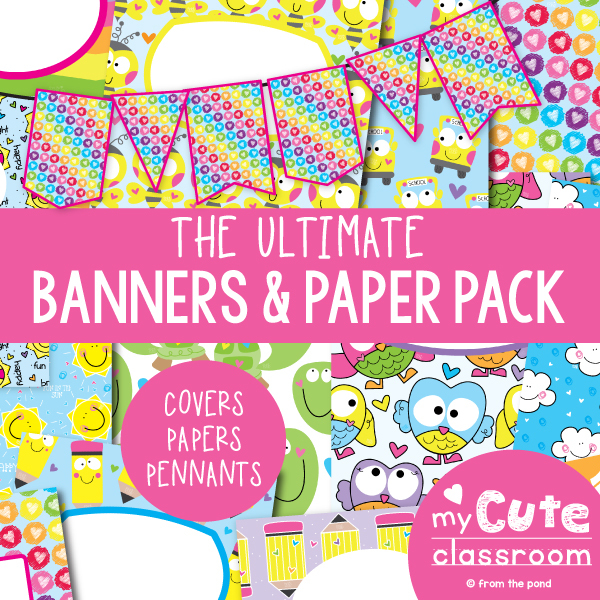 This pack allows you to coordinate your home office or classroom elements with printable papers, folder covers and banner pennants. 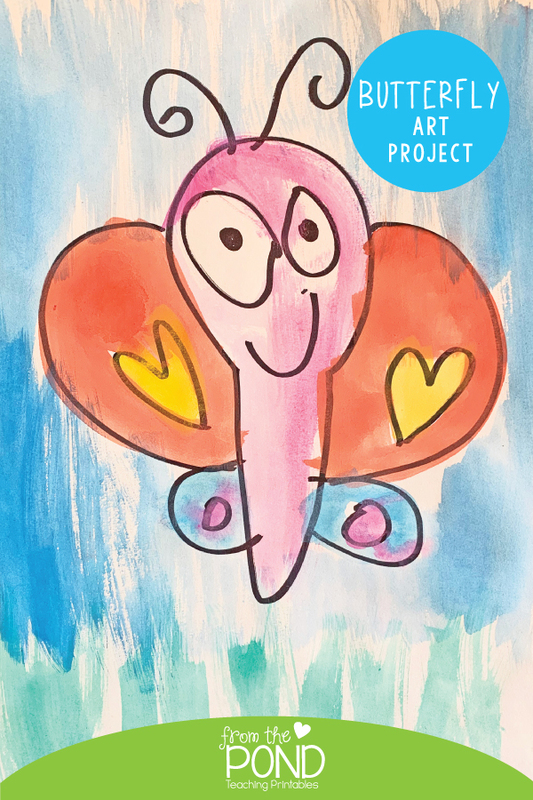 I slipped it into the cover of my new teacher diary and love how it looks. I'm using the Elizabeth Richards diary this year and am in love with it. 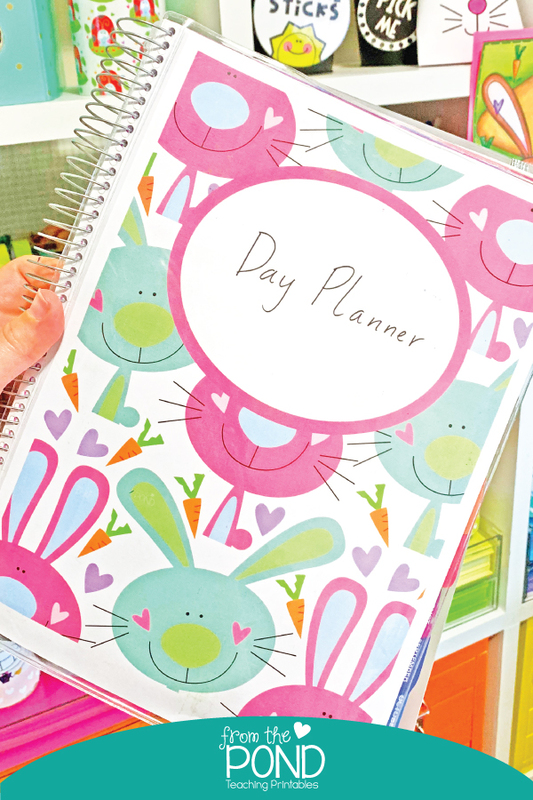 This is NOT a sponsored post (we never do them), I purchased my own diary and I just love the layout and ability to switch covers regularly. 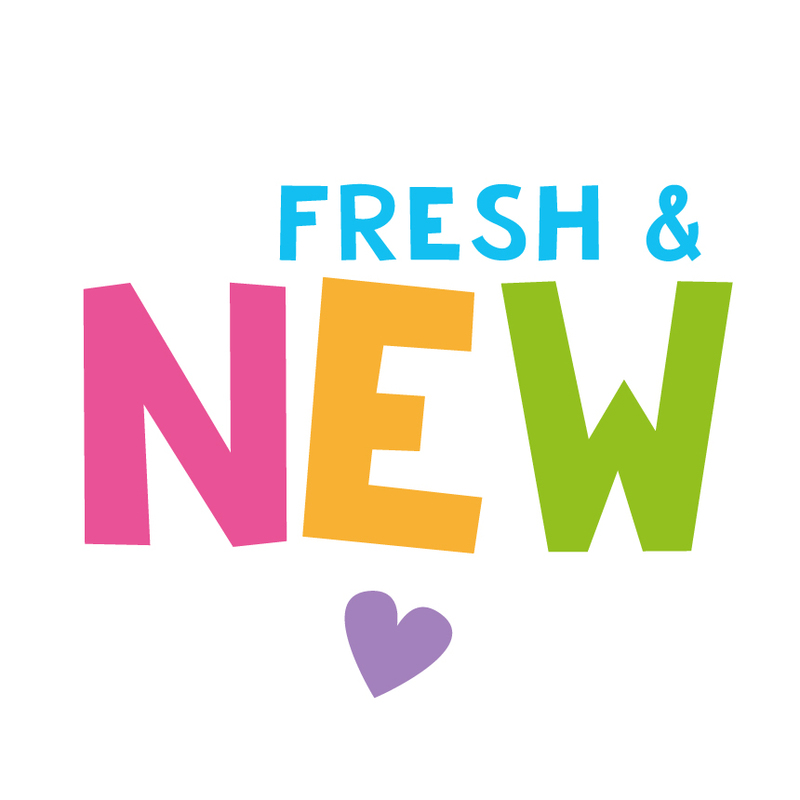 Thank you so much for visiting us here on the blog. Have a lovely week! 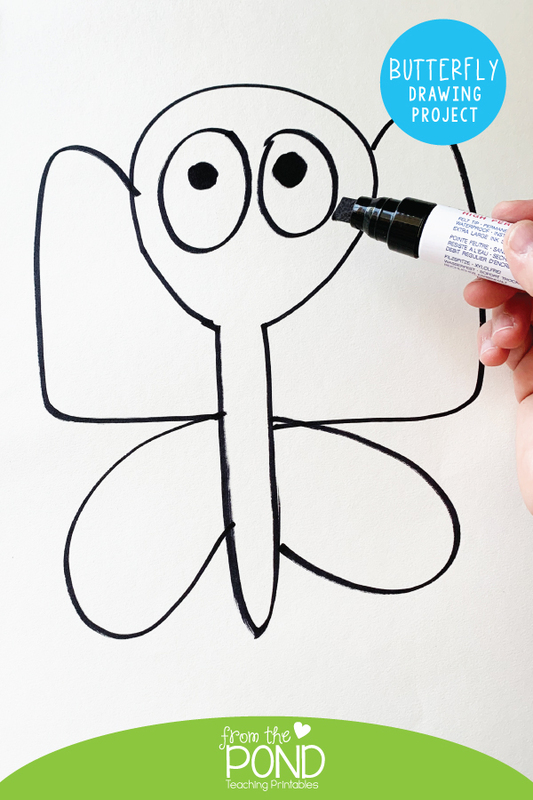 Keeping your little learners focused can be challenging at times. 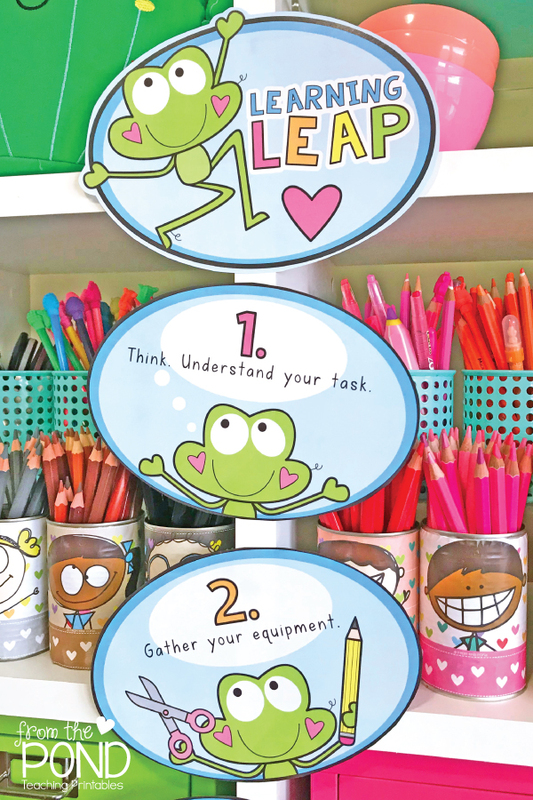 We made a fun visual Learning Leap to help stay on track and break a task down into simple steps from pond to lily pad! 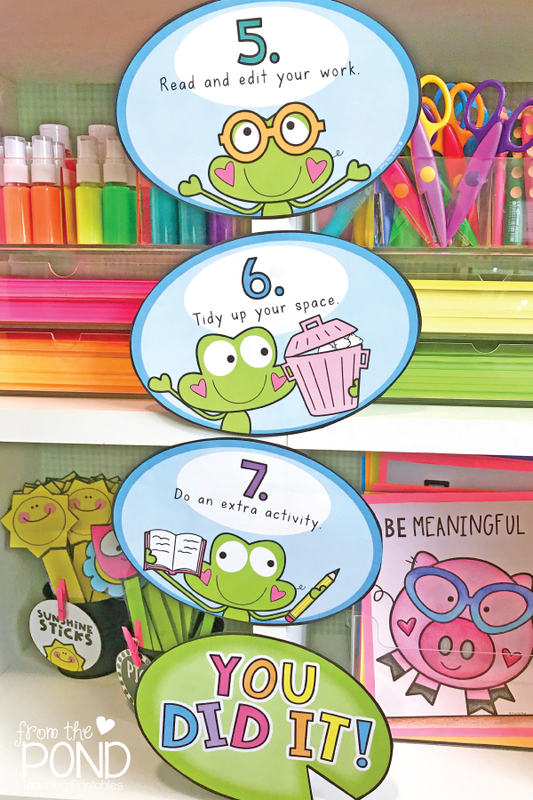 A visual schedule will help students who have difficulty staying on task, remembering multiple verbal instructions or who have difficulty breaking a task down into parts. 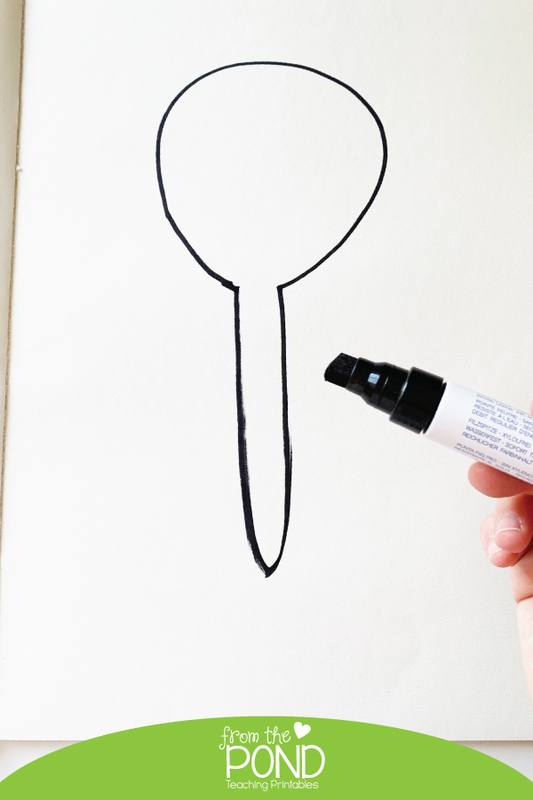 Write your name and the date. Complete all parts of the task. Read and edit your work. A text-editable MS Powerpoint version is also included so you can change the phrases and order if you need. 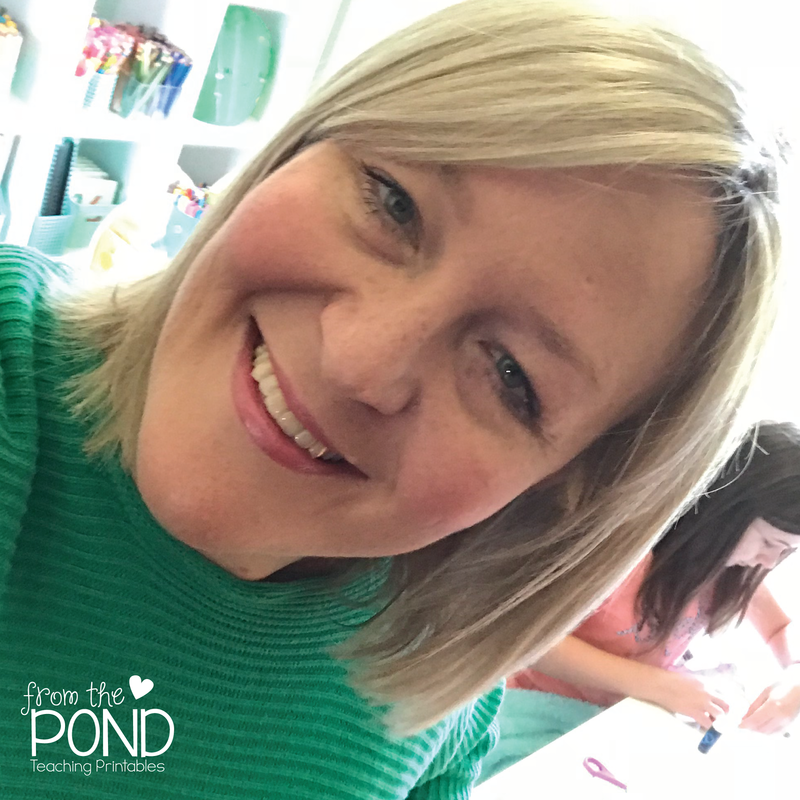 I have also included a blank plain pond and lily pad should you like to make additional tasks by inserting your own images and text. 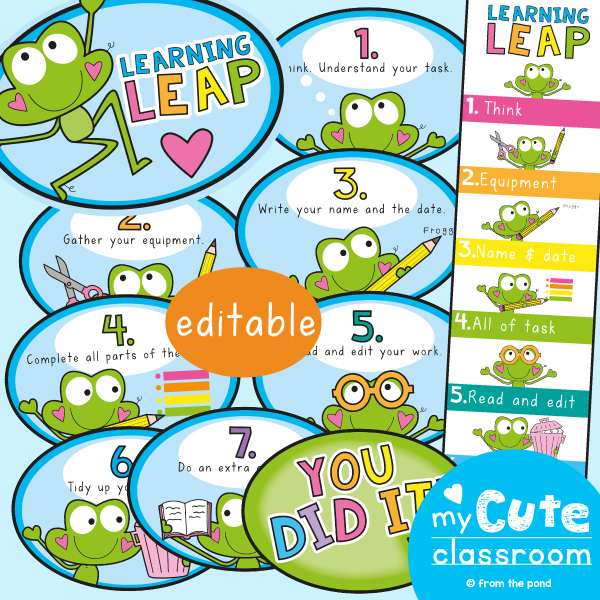 The visual schedule can be displayed on your classroom wall or use the mini desk version for focus students. 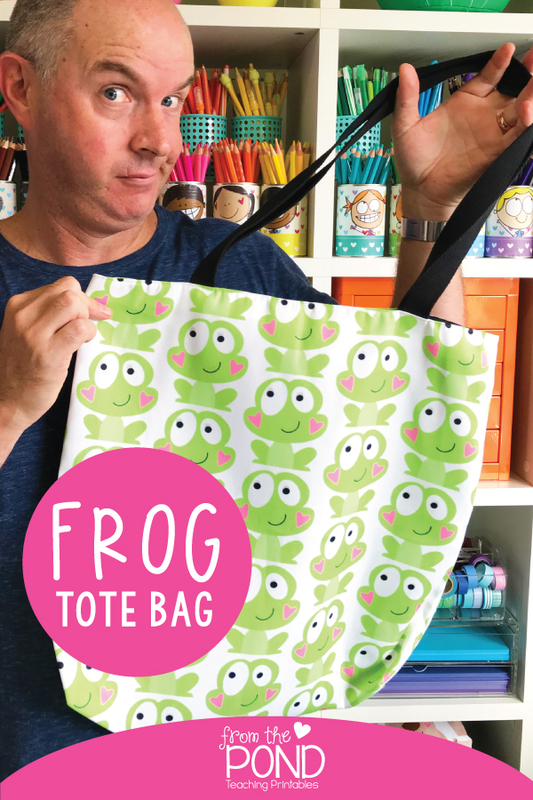 Hop over to our store and Pond VIP if you would like this for your classroom or learning space! 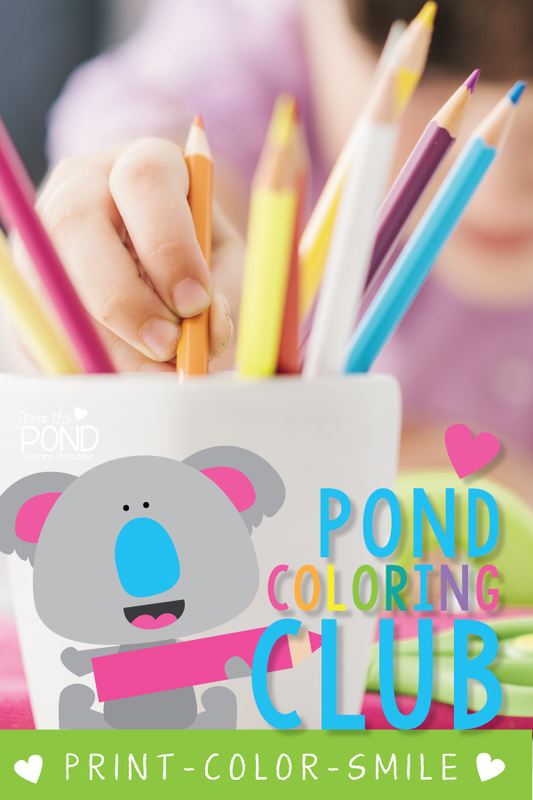 We started the Pond Coloring Club for our newsletter subscribers to have easy continual access to the free coloring pages Mel loved to make every weekend for you and your lovely little learners! 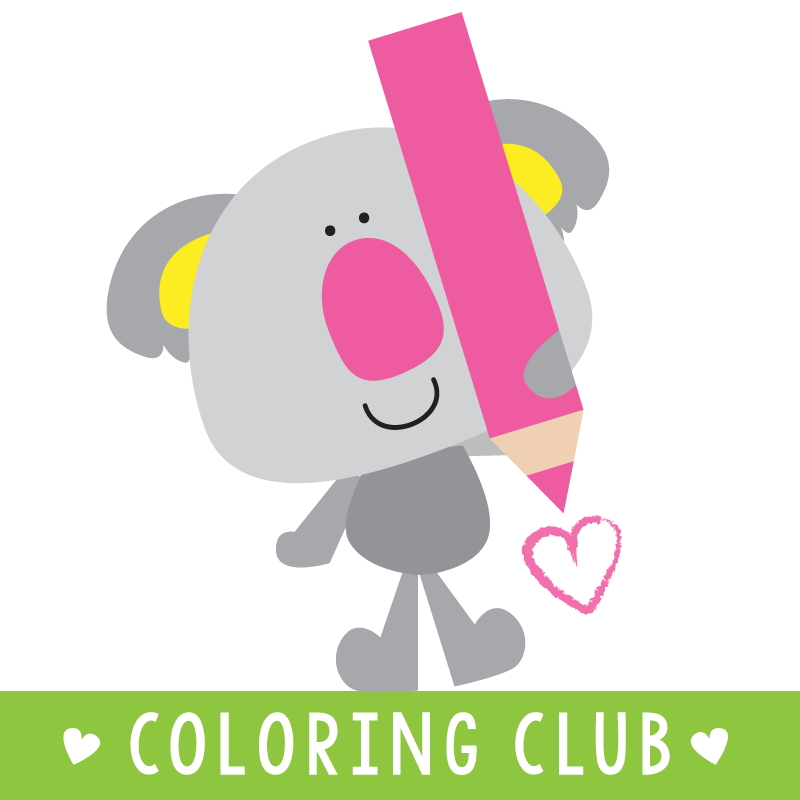 We'd love to have you in the club - it's really fast and easy to sign up. 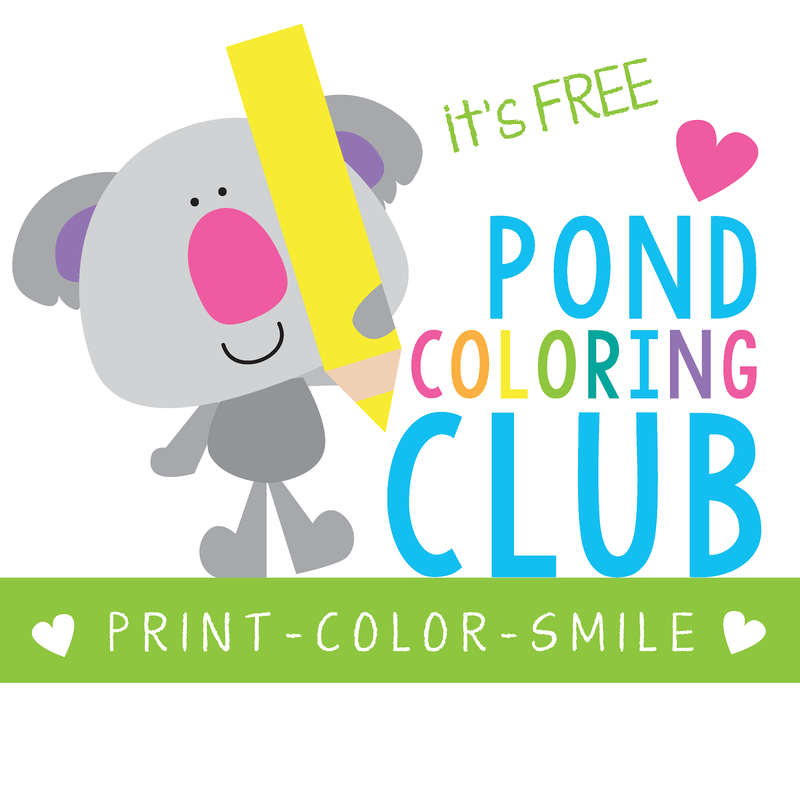 We would love to see and share some of your amazing coloring projects too - just use #pondcoloringclub on social media so we can find you! We made a fresh new wallpaper for our home office. I say it all the time, but THIS is my absolute favorite! 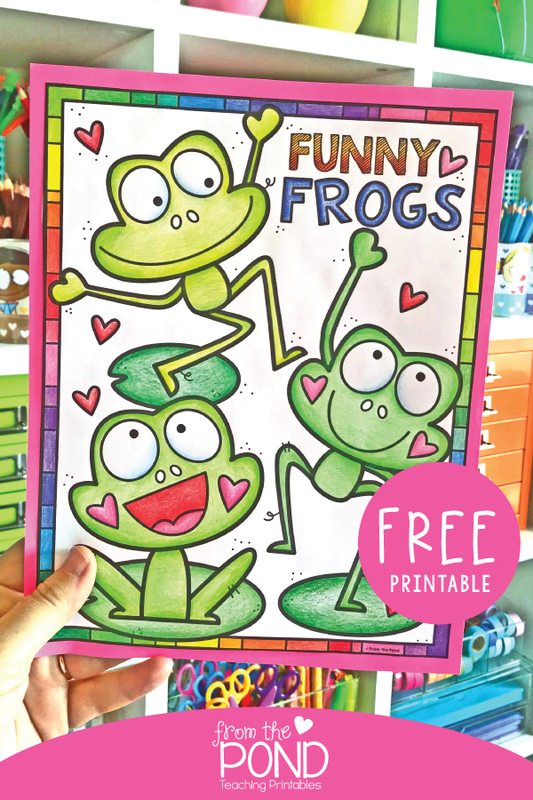 Sketching frogs is kind of how I got started with my design work, so they are always a joy to draw. 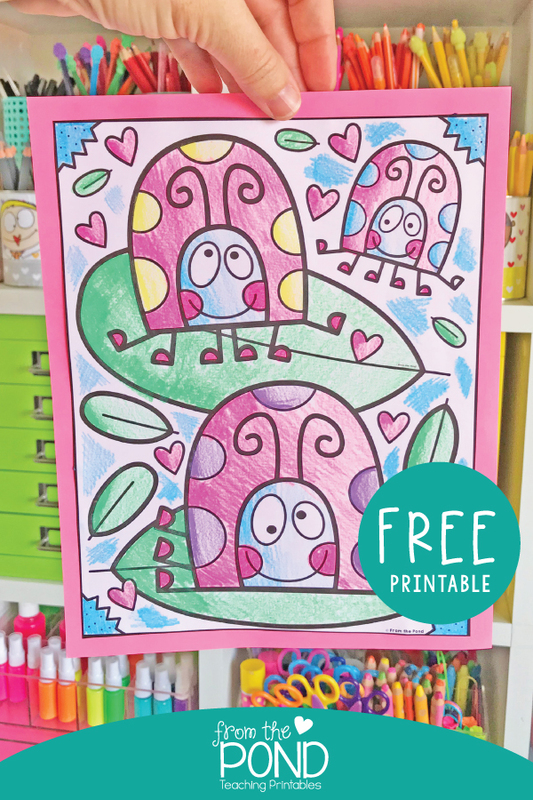 I'd love to share this cute new design with you, to make your home and classroom electronic boards, iPads, computers and phones happy and fun this week. 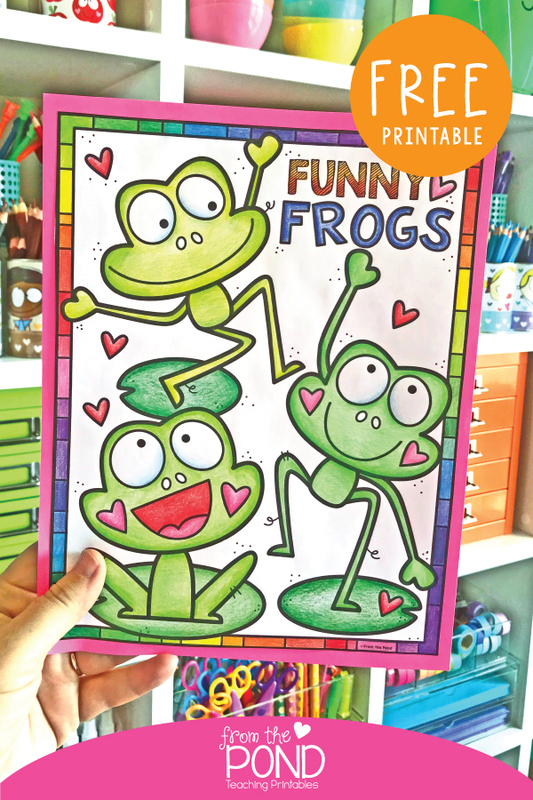 Don't forget to also hop over to the webby for a new addition to the Coloring club, funny frogs! 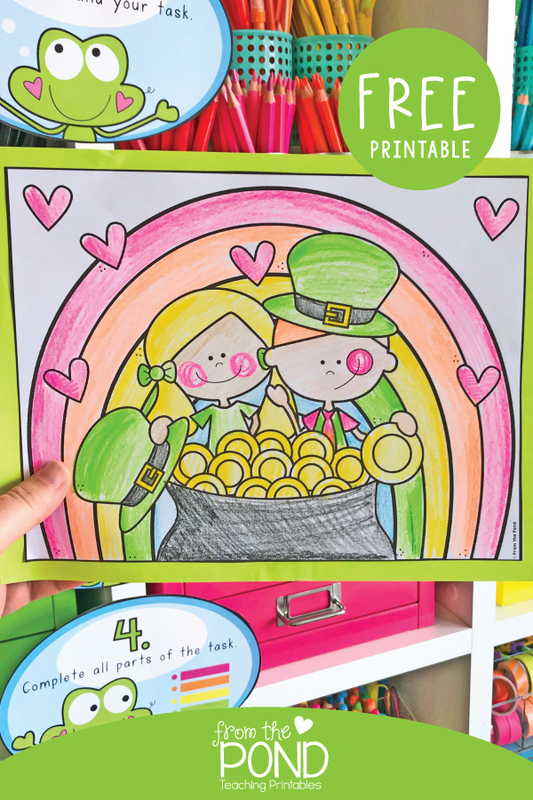 This sample was colored by our expert in color - Renee! 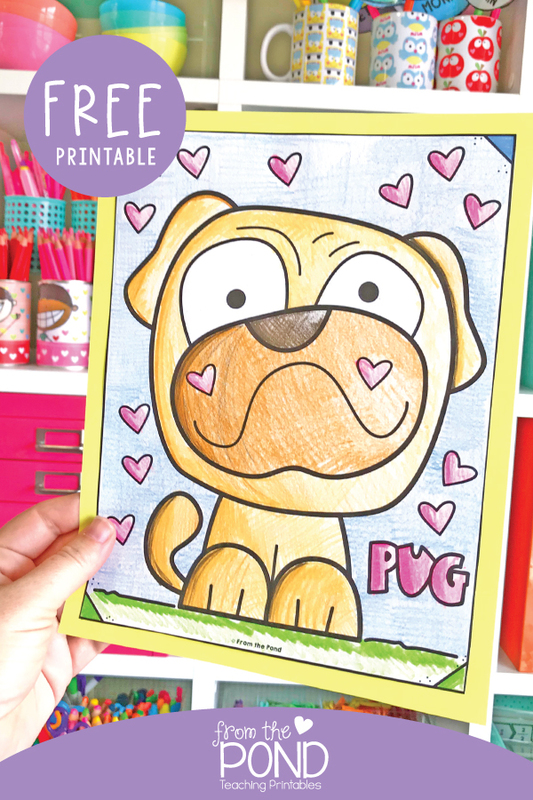 Brett thinks you will love this cute little guy on all our Red Bubble goodies too. 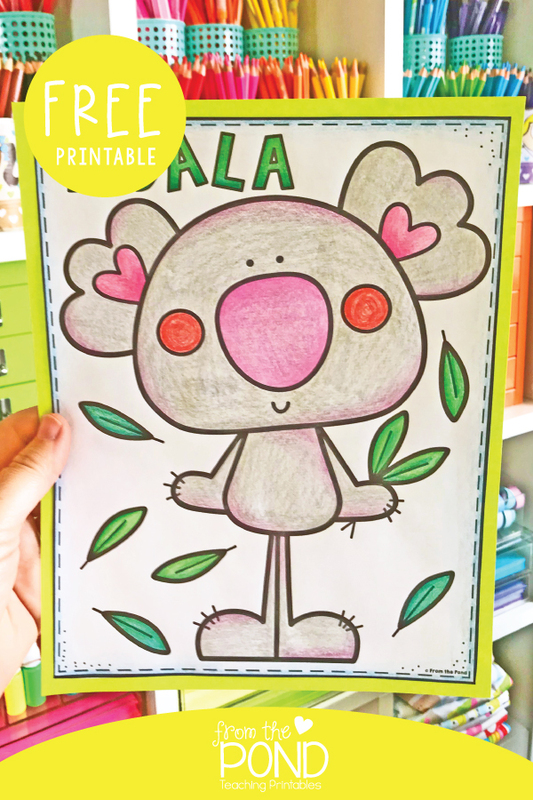 Thank you so much for visiting us here on the blog. 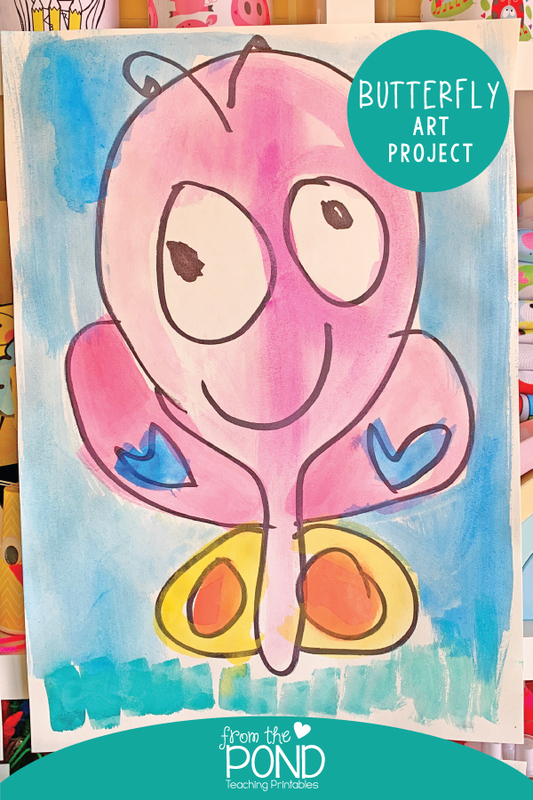 Stay tuned for a blog post later this week on one of my favorite frog story books!